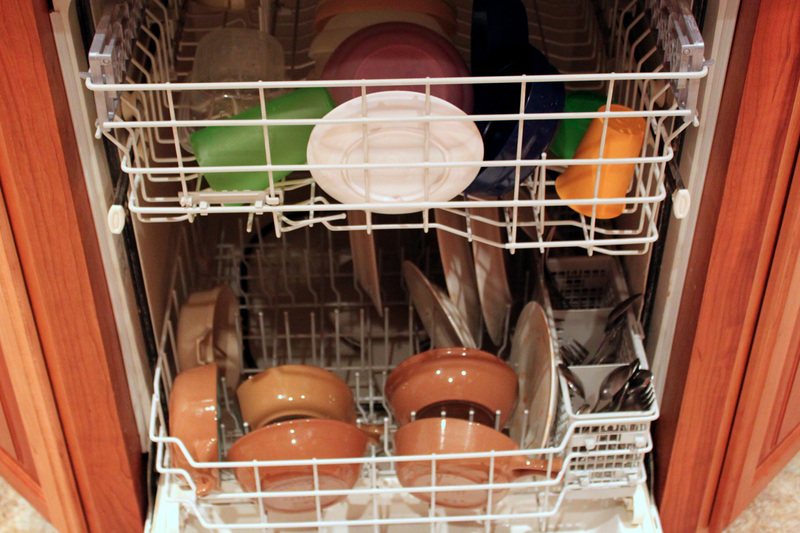 Recently I came across this post, 10 Reasons to NOT Use Your Dishwasher on the Life Your Way blog. If you haven’t read it, you should. There are some great points about what our children learn from us. It got me to thinking about our family and my childhood. When a meal is over, all four of us bring out plates to the counter, rinse and put in the dishwasher. We all work on putting things away and getting the kitchen clean. It is a family affair and no one (probably me) is stuck in the kitchen for what seems like hours. Our family uses the dishwasher, but not all the time. We use it to wash plates, cups, flatware; the simple stuff. We run it every day-to-day and a half. We usually wash and dry immediately, pots, pans, some Tupperware and anything else sticky. It has worked for our family. When I was growing up we did not have a dishwasher, unless you count my two sisters and myself. We took turns washing and drying. That is where the fights began. My oldest sister (she might deny this) didn’t like to wash. So we would argue about whose turn it was that night. Well my next sister, who hated to argue, would just wash and let the two of us fight about who should wipe. Oh, the anger in our voices, the frustration, the silliness of it all. But now I see it as a time to learn how to argue and disagree and realize we still loved each other. It was ok, to fight (mostly fair, but sometimes not) and work it out. We were family and we needed to figure out how to live with each other. So now when that happens in our family I try to remember that…my boys are learning a very important life skill through washing and drying dishes. Yes, I said boys. They do dishes. Tonight my husband and I were chatting at the table and the boys cleaned up and washed and wiped the remaining dishes while catching up on their day or the latest computer game…not sure which. Now that my boys are teens, I find standing next to one of them while doing the dishes can be a great way to chat. We don’t have to look eye to eye, but we can chat about the day in a comfortable way. Maybe there is something to doing the dishes by hand after all. So what do you think? Dishwasher or Hand Washing and Drying?